The Wildlife and Countryside Act 1981 states that all bird species are protected; therefore any disturbance to the birds, including their nest sites, is against the law. Ground nesting birds such as Meadow Pipits (Anthus pratensis), Skylarks (Alauda arvensis) and Lapwings (Vanellus vanellus) can cause disruption and expensive delays to planned construction projects and service installations. In the event of your Ecology team identifying evidence of nesting activity within the proposed site, a mitigation plan will need to be implemented. 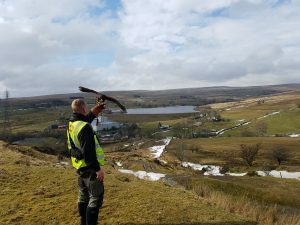 This will ensure that your operation can continue within the law and minimises the effect on birdlife. Our service begins with meeting the customer on site, in order to gain a full understanding of your requirements. We will then carry out a comprehensive survey and formulate an initial proposal. We recommend that programs start prior to the birds’ nesting season (February – August) in order to ensure that the birds are deterred at the earliest possible stage of the breeding cycle. This allows time for all species to find alternative nesting sites outside of the control zone. 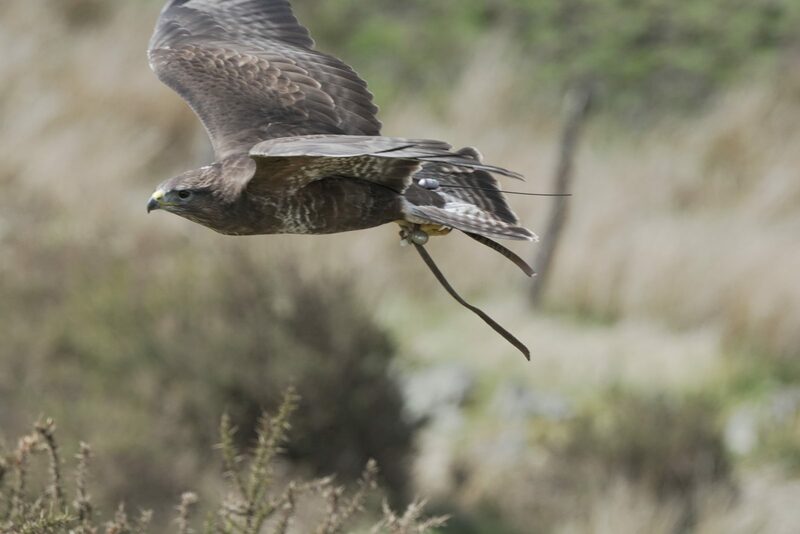 Control programs utilise Falconry Deterrence and working dogs. Once the proposal has been approved, our team can begin to implement the solution. 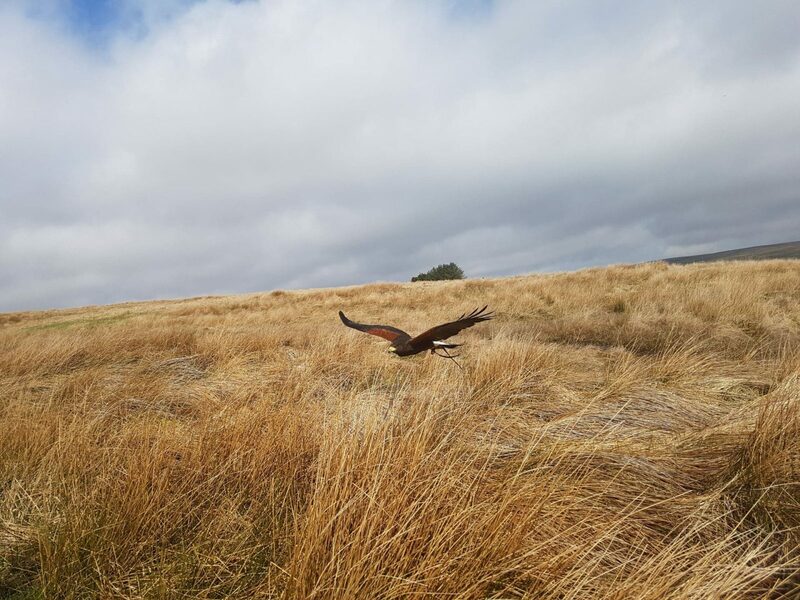 Our Falconry Deterrence programs are an environmentally friendly, non-harmful method of controlling and dispersing ground nesting birds. 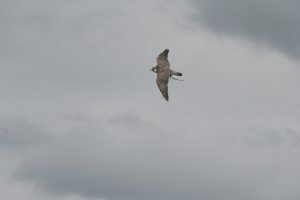 The target species will have an inherent fear of a flying raptor, therefore instinctively will choose not to nest in an area frequented by predators. Hawks – Across the site low to the ground, flushing birds that may be in cover. Large Falcons – To a swung lure, imitating a raptor in hunting mode. 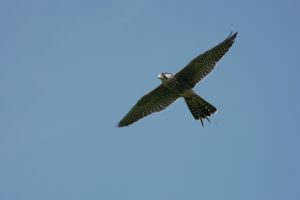 Larger Raptors – In cross-sections or soaring above the control zone. The sight of a larger predator at height makes smaller species feel vulnerable. 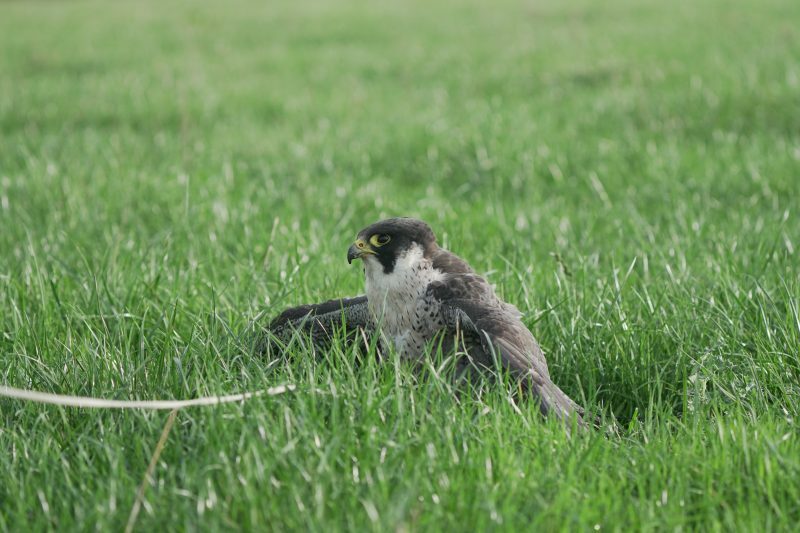 The frequency and duration of Falconry Deterrence is critical to the success of ground nesting bird management. 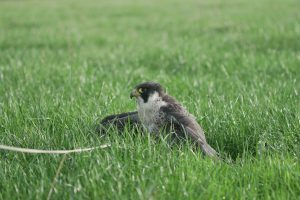 The operation will be tailored according to the nature of the environment, bird species to be controlled and the timing of the breeding cycle. Our services can be employed from dawn until dusk every day.